LOA: 20’11” / Beam: 7’3” / Draft: 4’6” / Displ. : 1,433 lbs. However, the company also says that “the boat was created so that anyone can sail, and will want to sail.” That part of the pitch sounded interesting. So, we took a closer look at the RS21. It was sitting high up on its trailer, tucked in a far corner of the boat show. With its chined hull, retractable bowsprit and carbon-composite mast, the RS21 at first glance looked like a fast sport boat for high-performance sailors. But Todd Riccardi of RS Sailing North America quickly set us straight. To that end, instead of hiking straps the boat includes “granny bars” for the skipper, and lifelines to keep the crew on board. 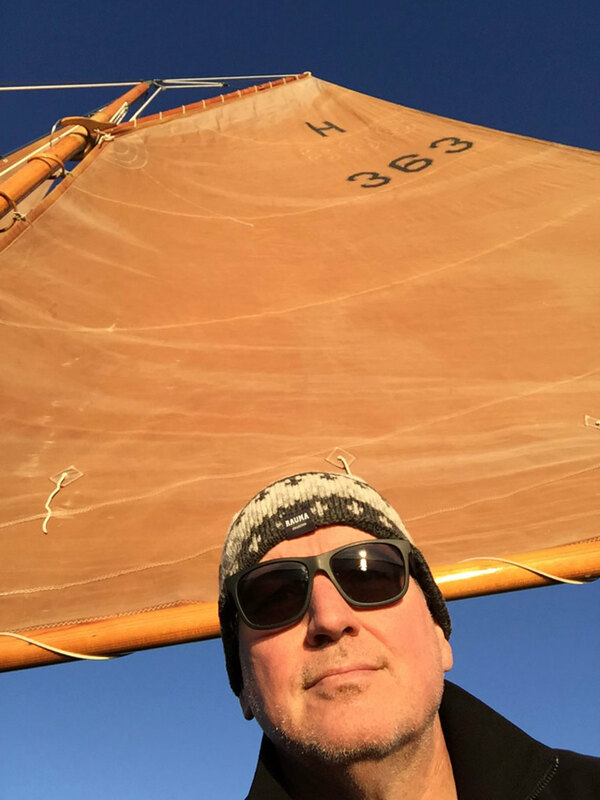 The keel, which weighs 650 pounds and makes up almost half of the boat’s 1,433 pounds, should make it more forgiving to sail. 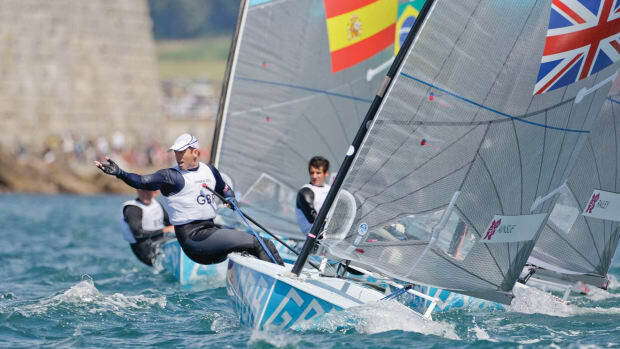 The RS21 is not light for a keelboat of this size, but it should be safer and easier to sail for less-experienced hands. (For comparison, a Melges 20 weighs 1,146 pounds with a 450-pound keel.) 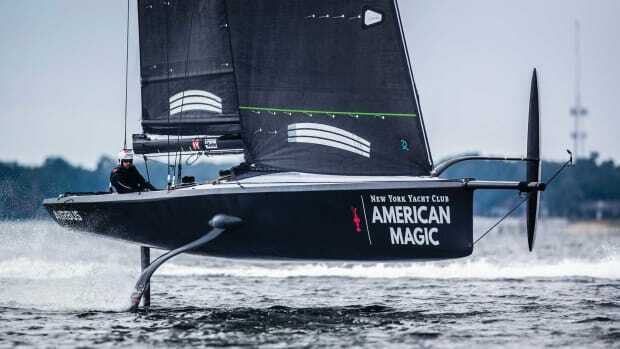 With a draft of 4 feet, 6 inches, the keel should provide plenty of righting moment, even against a 175-square-foot racing main, an 83-square-foot racing jib and a 375-square-foot gennaker. The boat’s cockpit is large for a 20-footer. 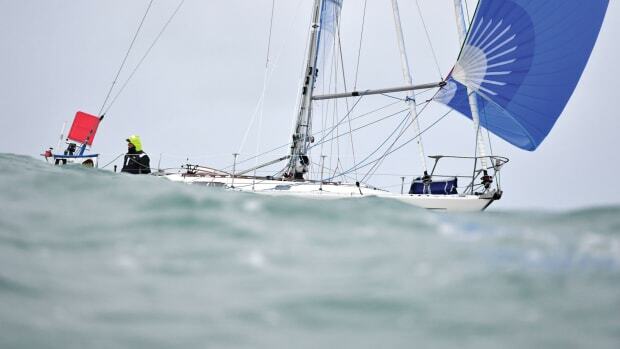 RS Sailing says it can be raced by two to four people and can accommodate six people for sail training. The builder put a heavy emphasis on sustainability and simplicity. 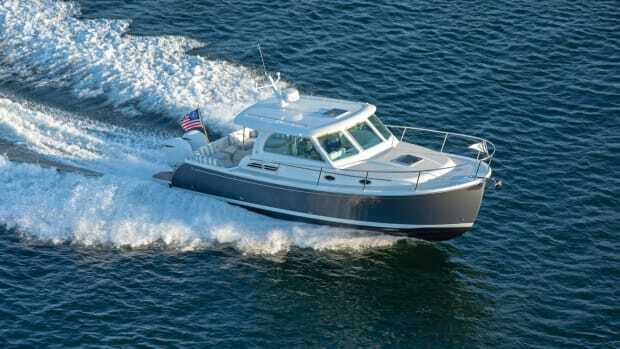 The hull’s coring is made of recycled plastic bottles, and to reduce its carbon footprint, the RS21 is sized to fit six boats to a 40-foot shipping container. 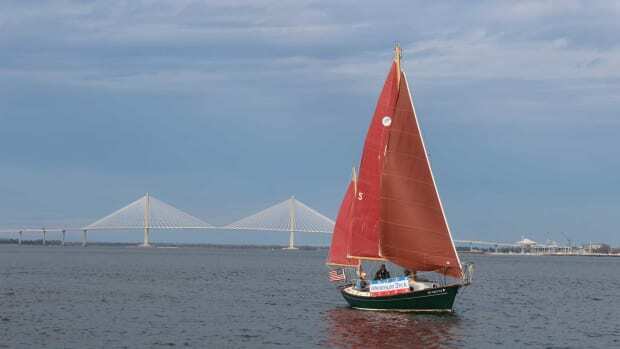 The mast comes in two parts, and the keel and stanchions are removable, allowing multiple hulls to be stacked for transport, and to save space for winter storage. The optional Torqeedo electric drive is energy-friendly and eliminates the need for petroleum-based fuels. 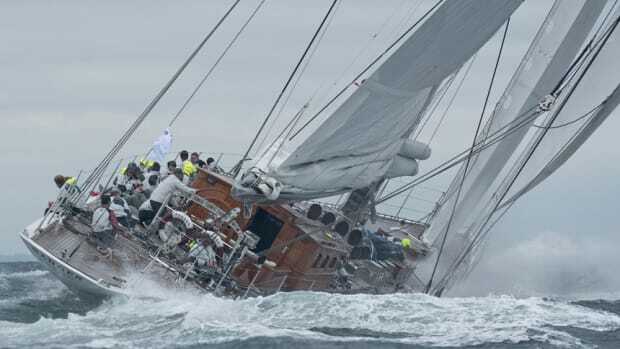 RS Sailing placed the Torqeedo engine in the mainsheet base halfway between the keel and the rudder, where it can be raised and lowered through the hull. In the raised position, a bottom plate below the propeller seals the Torqeedo flush inside the boat. On deck, the Torqeedo then slides into a protective hoop above the mainsheet base. 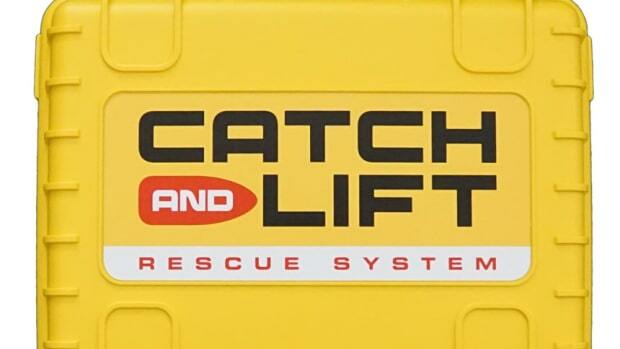 Two batteries can be stowed inside a waterproof hatch forward of the mast. The RS21 is aimed at club racing. 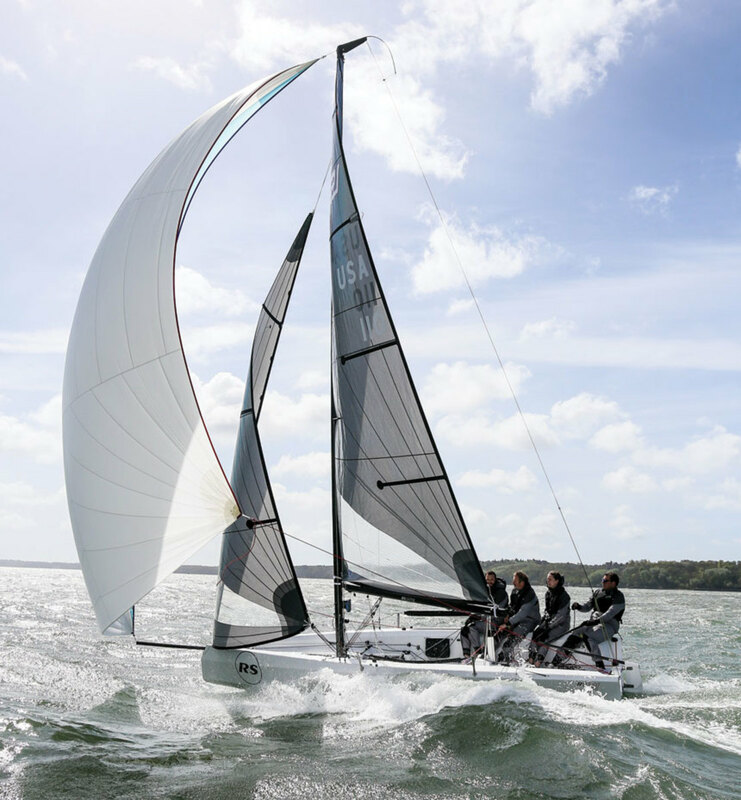 It comes in two models: the One-Design with Mylar main, jib and asymmetrical spinnaker for $39,220, and the Club model with a smaller Dacron main and jib for $34,950. Only time will tell if the RS21 will catch on in the United States, but if it does, it should be a fun way to introduce more people to sailing and keep them interested for years to come.